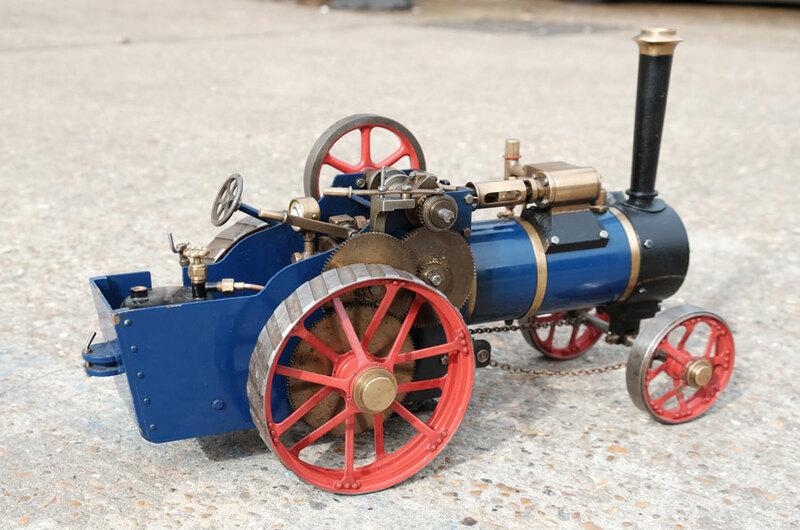 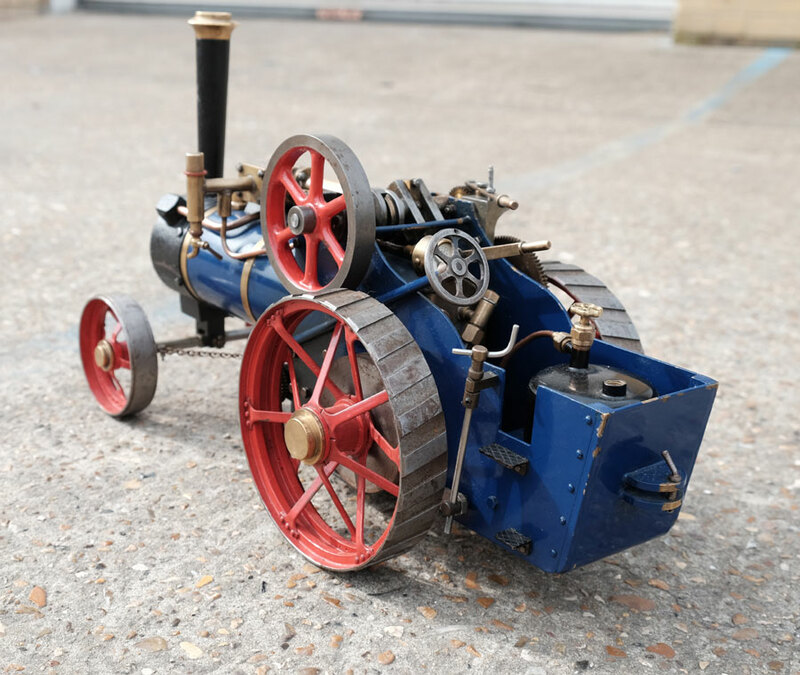 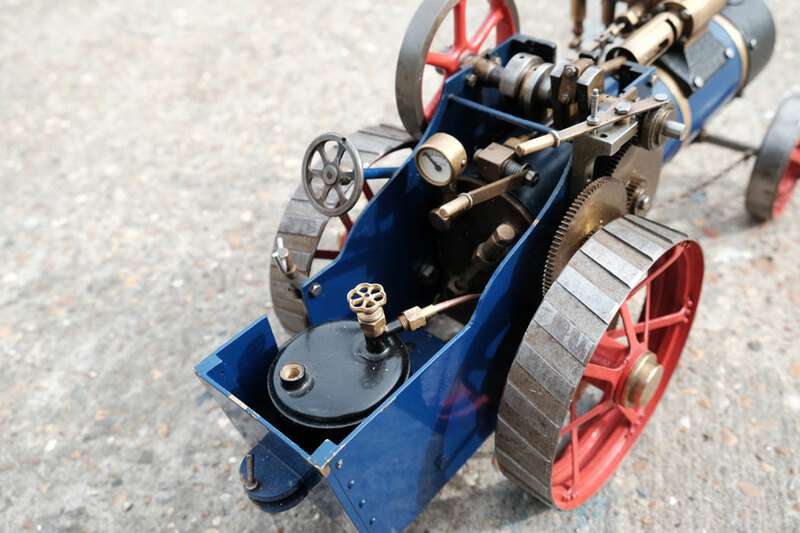 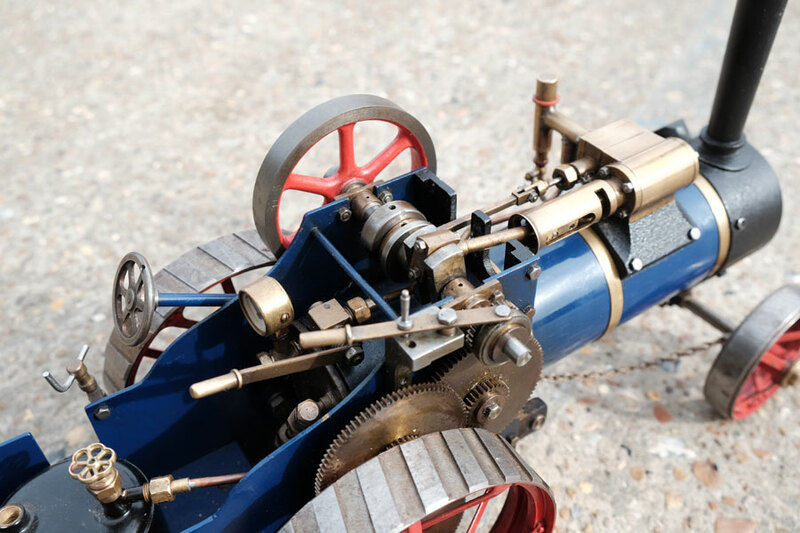 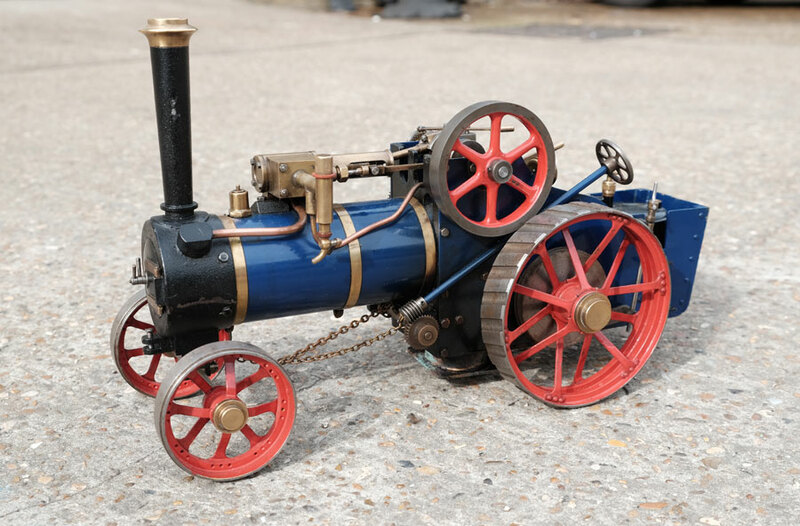 The Bassett Lowke Burrell traction engine kits of parts was one of the most important long-running product lines for Bassett-Lowke after World War Two, and featured heavily in adverts and on catalogue covers. 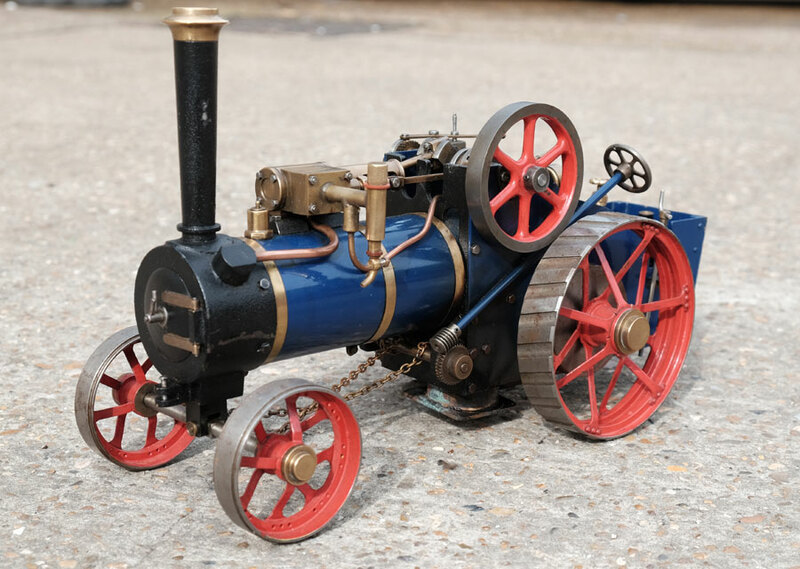 Unlike the B-L railway locomotives, a steam enthusiast with ambitions to one day own a real Bassett-Lowke model of their own could buy a traction engine and have a fully-working stand-alone model that didn't require track or any other expensive accessories ... and if they had some technical engineering expertise, they could save more money and just buy the critical castings, plans, and builder's instruction manual. 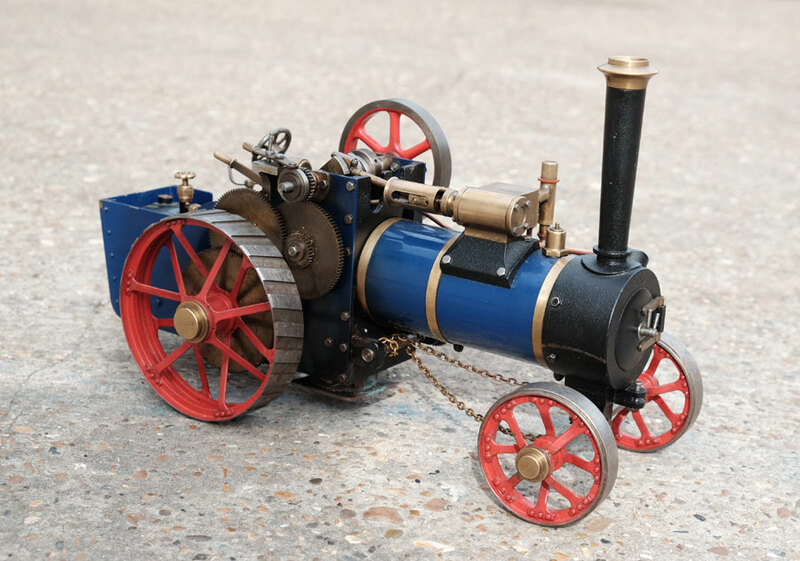 This is a lovely example, with some modern touches, including a ceramic gas burner.